Singaporean company Golden Investments will not increase or extend its $240 million takeover offer for Stanmore Coal beyond next week’s deadline. 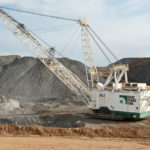 Golden Investments majority owner Golden Energy and Resources, in its third supplementary bidder’s statement, urged Stanmore Coal shareholders to accept the offer by the January 22 closing date. Golden Energy and Resources is offering 95 cents per share for Stanmore Coal, a 14.5 per cent premium on the company’s five-day volume weighted average price prior to receiving the offer. However, Stanmore Coal last November labelled Golden Investments’ offer as “inadequate”. According to financial company Grant Thornton, Stanmore Coal’s auditor BDO has potentially overvalued the Isaac Downs project in Queensland’s Bowen Basin, used too narrow a value range and ignored or miscalculated several other values in the company’s December target statement. The Grant Thornton report suggests that BDO’s valuation of $1.48–1.90 per Stanmore share is too high, and should instead be closer to a value between 84 cents and $1.10 per share. 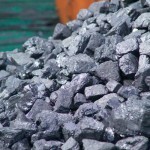 Stanmore Coal’s share price today sits at $1. “The independent review report from Grant Thornton found material issues with the independent expert’s report prepared for Stanmore Coal by a related entity of its current auditor BDO Audit Pty Ltd.,” said Golden Investments director Mark Zhou. Given the discrepancy between BDO’s valuation and Stanmore Coal’s current share price, it had “no credibility in the market”. “Adjusting the key assumptions underlying the BDO valuation to reflect these issues results in a recalculated valuation range of A$0.84-A$1.104,” Zhou said.